书籍简介: In Investors and Markets, Nobel Prize-winning financial economist William Sharpe shows that investment professionals cannot make good portfolio choices unless they understand the determinants of asset prices. But until now asset-price analysis has largely been inaccessible to everyone except PhDs in financial economics. In this book, Sharpe changes that by setting out his state-of-the-art approach to asset pricing in a nonmathematical form that will be comprehensible to a broad range of investment professionals, including investment advisors, money managers, and financial analysts. Bridging the gap between the best financial theory and investment practice, Investors and Markets will help investment professionals make better portfolio choices by being smarter about asset prices. Based on Sharpe's Princeton Lectures in Finance, Investors and Markets presents a method of analyzing asset prices that accounts for the real behavior of investors. Sharpe makes this technique accessible through a new, one-of-a-kind computer program (available for free on his Web site, at http://www.stanford.edu/~wfsharpe/apsim/index.html) that enables users to create virtual markets, setting the starting conditions and then allowing trading until equilibrium is reached and trading stops. Program users can then analyze the final portfolios and asset prices, see expected returns, and measure risk. 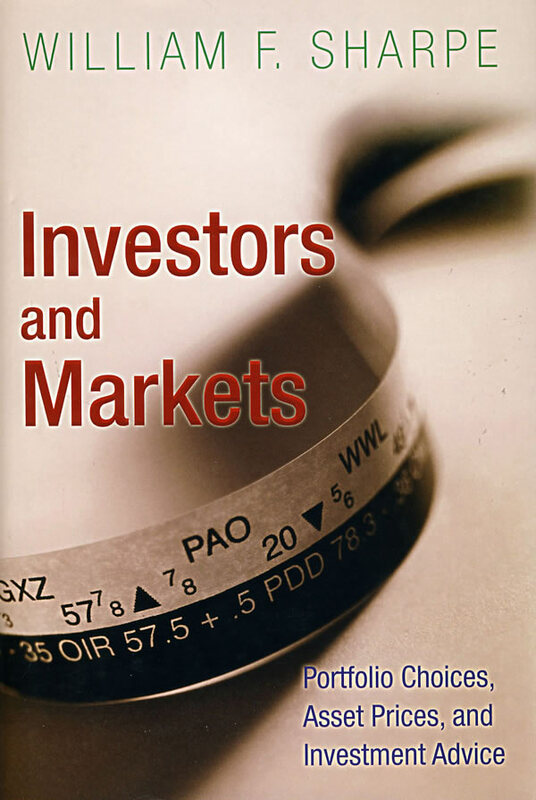 In addition to popularizing the most sophisticated form of asset-price analysis, Investors and Markets summarizes much of Sharpe's most important previous work and reflects a lifetime of thinking about investing by one of the leading minds in financial economics. Any serious investment professional will benefit from Sharpe's unique insights.